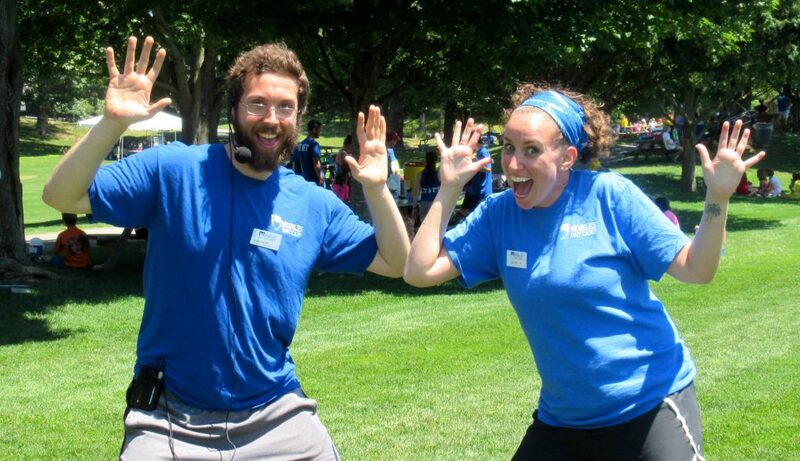 Our staff is the heart and soul of Nobles Day Camp. They bring enthusiasm and experience. They are teachers, athletes, musicians, artists, dancers, mentors, students and parents. 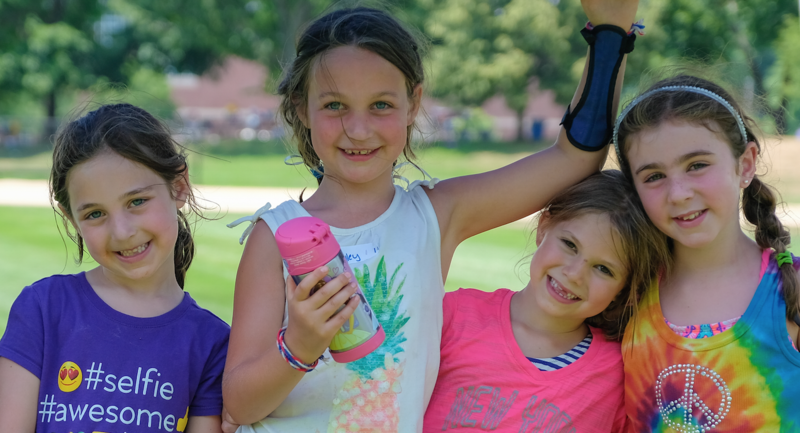 The connections they form with campers and with each other create the close-knit community that keeps so many coming back year after year. Click on each link or scroll down to meet our activity staff. I started working in Nobles in the summer of 2005 as an assistant counselor in the Eights. The next year, I moved up to Head Counselor with the Eights and spent nine more summers in that amazing group. In July of 2015, I became a mom to an amazing little boy, Leonardo. I have been awaiting the day when Leo would be old enough to start at Nobles as in the Owl’s Nest and that time is finally here! During the school year, I work as a Middle School Special Education Teacher in Newton, holding my Master’s degree from U Mass Boston. My favorite thing about Nobles is the sense of community I feel as a part of the staff and I am looking forward to introducing my son to my summer family too! I am excited for my first summer at NDC! As a former coach, I have many years of experience with different camps and working with young people. I even served as a student counselor when I was in high school at Camp Wing in Duxbury. I have just finished my twentieth year as a history teacher at my alma mater, Milton High School. (Not to be confused with Milton Academy) At Milton High School, I was a football coach for seventeen years before I hung up my whistle to pursue my Masters in Education. My wife and I live in Walpole where our children will be starting third grade, first grade, and preschool this fall. I’m ready for a fun summer at NDC and many more after that! 2017 is my first summer working at Nobles Day Camp but I was a camper at Nobles for 6 years. During the year, I am a student at Needham High School, class of 2019. My favorite part about camp is the energy and excitement the kids bring each and every day! Joe started working at Nobles in 2014 as one of the 4B Head Counselors and is now the Arts & Crafts Head Counselor. Joe is an art teacher in the Medfield Public School District, as well as an After School Program teacher during the school year. Joe enjoyed the sense of community last year as a group counselor and is now enjoying the creativity of his fellow counselors in Arts & Crafts as well as those from Pix & Flix, Photo, Clay, Sewing, and Woodworking. I’m currently a sophomore at Millis High School. I’ve been a camper at NDC since I was 3. This has been the only camp I’ve gone to and only way I can think to spend a summer. My mom, brothers, and aunt work there, not to mention my countless friends. I really look forward to working this summer! Since 2015, I have enjoyed working with NDC campers to create one-of-kind beading projects. 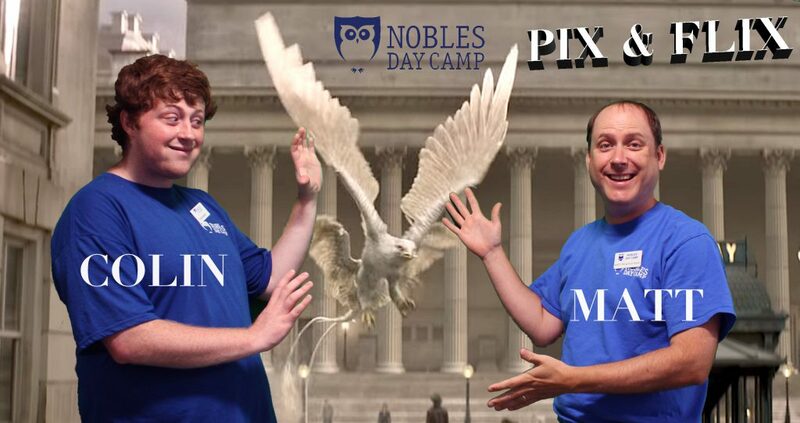 My two sons look forward to attending Nobles Day Camp all year long. The top-notch experience and memories that NDC provides for me and my family are unmatched, life-changing, invaluable. During the year I am a program manager for an instrumental music non-profit in the Boston Public Schools. This is my first summer working at Nobles Day Camp. I have three Daughters; two are working as Counselors this summer. During the year, I am a Pharmacy Technician for a large chain. I hold a M.A. in Health Communication from Emerson College. My favorite thing about camp thus far is meeting new people. 2016 is my first year on the Nobles staff. Prior to joining Nobles, I worked as Head of Boating, a tennis specialist, and a general counselor at another Massachusetts day camp. I have received my Masters in Elementary Education from Lesley University, and I currently teach fourth grade in the Framingham Public School system. My favorite thing about camp is seeing campers try new activities and hearing them express a desire to learn more about their new skill during and beyond their day camp experience. I have been working at Nobles Day Camp since 2011, and I have been working in Boats since 2014. I was also a camper for five years previously, so I know the camp from both camper and counselor point of view. I recently graduated from the University of Vermont, and I teach swimming lessons up in Vermont during the school year. What keeps me coming back to Nobles are the wonderful people and all the fun we have each and every day. It’s somewhere that I feel I truly belong, and that’s the most wonderful feeling in the world. All year I look forward to these short eight weeks. 2016 is my first summer working at Nobles, but I started here as a camper in the 8’s. During the year I attend Xaverian Brothers High School. My favorite part of camp is the Owls. 2017 is my first year as a part of the NDC staff, but I started as a camper here in 2012. During the year, I am a student at Canton High School. My favorite part of NDC is the sense of family you get when you attend. 2018 is my first year on staff at Nobles Day Camp. Previously, I spent one summer working the head of field sports at another Massachusetts camp, ten summers volunteering with an international peace education organization in programs around the world, two summers finishing up my masters degree in French, and five summers as a lifeguard at a lake in Pennsylvania. I work at Dedham Middle School. My favorite thing about camp is the ever-present potential for silliness. I have two years of prior camp counselor experience, but this is my first year working at Nobles. I am a student; I just graduated from Thayer Academy and will be attending Tulane University in the fall as an Engineering Physics major and as a Naval ROTC midshipman. My favorite thing about camp so far is how incredibly kind and supportive the staff is and how easy they have made it for me to transition to working here. I joined Nobles summer 18’ and let me tell you I feel like I’ve been here for years. During the year, I work as dance teacher and performer in and out of the city of Boston. I graduated in 2010 from the Boston Arts Academy where my love for the art of dance only got bigger. Camp is a great place for anyone and everyone. There is definitely a common theme through out camp, have fun, try something new and go for it. 2017 is my first summer working at Nobles. During the year, I am an administrator and a teacher for grades 7-12 at a school in Boston. My favorite thing about camp is playing sports and having fun with the kids. I started coming to Nobles when I was a camper in the 4’s, and I have been working at Nobles since 2014. During the year I am a student at Nobles, class of 2017. My favorite thing about camp is seeing the kids’ smiling faces. This year will be my first year working at Nobles Day Camp. In May, I graduated from Nichols College and will be going back in the Fall to pursue my Master’s degree. I will also be coaching Cross Country and Track & Field next year. My favorite thing about camp is having fun and playing games! 2017 is my first summer at camp but I was also a camper here for 4 years. I am a student at Needham High School, class of 2019. My favorite part of camp is having the ability to make a kid’s day, and it is something that I strive to do. 2017 is my first summer working here. I attend Northeastern University class of 2022. My favorite thing about camp is meeting new kids every single day! This is my first year as a counselor. I’m excited!!! 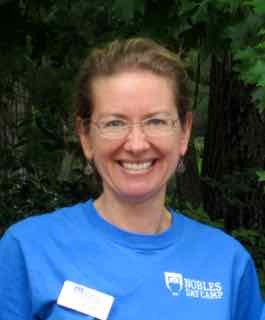 I have fond memories as Nobles Camper – having attended the camp for five summers during my younger years. I’m am currently attending Washington & Jefferson College where I will be a junior next Fall. I am an English major with an Education minor. I plan to get my teaching certificate when I graduate. What I like best about Nobles Camp – is everything!! But I especially like working with the other counselors and seeing the kids having so much fun. Wassup guys!! This is my first year at Nobles Day Camp but I did go to Nobles for middle school and highschool. I’m going to be a sophomore at Middlebury College. My favorite part about camp has to be the Cookout. It’s so much fun! 2017 is my first year working at Nobles Day Camp. During the year I am a program manager for a non-profit music program. My 2 boys (11 and 13) are 1st time Nobles campers. My favorite thing about camp is seeing the kids so excited about the end result. Hi! I’m Natalie, and 2018 will be my first working at NDC! I was a camper in 4A in 2009. I just graduated from Needham High School and will be attending the University of Guelph in Canada for the upcoming school year. I love to bake, do art and try new things! My favorite thing about camp is getting creative, learning new skills and having fun! I have been working at Nobles Day Camp since the summer of 2011. During the off season, I teach elementary school. I enjoy watching the children grow their Gimp skills, and I encourage them to try challenging projects while having fun. My favorite part of Gimp is when children bring me an idea, and together we bring it to life. 2017 is my first year in Gimp, but I started working at NDC in 2015. During the year I am a 6th-grade teacher at Bird Middle School in Walpole. My favorite part of camp is watching campers overcome their fears and accomplishing something they did not think they could do. This is my first year working at Nobles after being a camper for 2 years. During the year I am a student at UMass Amherst as a Nutrition major on a pre-med track. My favorite thing about camp is the kind staff and amazing community it has created. I started as a camper here at Nobles in the Owls Nest in 1998 and following the CIT program I started working in gymnastics and have been there ever since!! I graduated from the University of New Hampshire in 2016, and I plan to go to graduate school for School Counseling. My favorite thing about camp is seeing the campers coming back year after year and also meeting many new friends! I cannot wait for another summer here at Nobles! 2017 is my first summer at Nobles Day Camp. I’ve been going to camp since I was four and in 2016 I was a counselor with the Needham Track Club. During the year I am a student at Wesleyan University. My Favorite thing about camp is meeting new people. 2017 is my first summer at Nobles Day Camp! During the year, I am a student at Quincy College and am studying Elementary Education. My favorite thing about camp is watching all the campers get excited when they try new things! My name is Matthew Yee, and 2015 was my first year as a counselor. Since 2010, I came to NDC as a camper; and in 2015 I completed the CIT Program. During the school year, I attend Needham High School, class of 2018.My favorite part of camp is the opportunity to see campers try new activities and learn new skills. I look forward to exploring the great outdoors with all the campers! I have been working at Nobles since 2011. During the year I am a freelance photographer. My favorite thing about camp is the creativity of the campers. They make the most amazing things, and I get to be a part of it. Hi! I’m Luna. 2017 is my first summer at Nobles Day Camp. I am a recent Nobles Grad (Class of 2017) from Boston and have volunteered at Camp Sunshine in Maine for two sessions. I study the Classics at College of the Holy Cross in Worcester and am excited to meet all the kids in the Dark Room! I started working at Nobles Day Camp in 2014. In the non-summer months, I teach instrumental music at The Fessenden School. My favorite activities are reading, traveling, and playing with my two children. While I’ve only been there twice, I am particularly passionate about Iceland; I can’t wait to go back! I am looking forward to working with creative children and see the results of their work in Pix and Flix! I’m very excited to join the staff at Nobles Day Camp this summer! I will be working to create exciting video and photo content for the Pix and Flix activity. As a lifelong lover of the arts, I have taken numerous courses in photography, filmmaking, and studio arts. Throughout my own schooling, I participated in clubs and organizations dedicated to producing professional digital media. Along with visual arts, I am also passionate about writing, reading, and education. I’m currently teaching 7th and 8th Grade English Language Arts in Milton and I’m completing a Master’s Degree in Secondary Education. I am a middle school science teacher at Noble and Greenough School. I also coach boys middle school soccer and lacrosse. I have been working at Nobles Day Camp since 2004. My favorite camp activity is Rocks and Ropes (of course! ), and I am looking forward to seeing old friends and making new ones! I started working at the NDC Ropes Course in the summer of 2010. During the year I teach History at Thayer Academy. My favorite thing about camp is playing with the kids at Ropes. Hi, my name is Chris, and I have been a camper at Nobles since 2007 and working here since 2016. I attend Xaverian Brothers High School. I keep coming back to Nobles simply because of the fun time it provides for both the campers and the counselors. Rocks and Ropes is definitely my favorite thing at camp because of the fun, unique experience it gives to the campers. I have been working off and on since 2006 as an instructor in the Rocks and Ropes facility at Nobles Day Camp. When I’m not at camp, I am a full-time science teacher at the Galvin Middle School in Canton. I graduated with a Bachelor’s degree in secondary education from Miami University in Ohio and also has a Masters degree in science education from Lesley University. I live with my wife and two young children in Walpole. This is my first year at Nobles, and I am very excited to start! This past year I finished my Master in Teaching at Tufts University and will be starting as a high school history teacher at Thayer next fall. My favorite thing about camp thus far is how welcoming the whole Nobles community is. I started working at Nobles in 2009. During the school year, I attend graduate school at George Mason, and I went to undergrad at St. Mike’s. My favorite thing about camp is climbing at the ropes course. My “journey” with Nobles Day Camp started when I was around 8 years old. It was 2010, and I was entering the camp as a member of the 3s. I spent seven summers at the camp before participating in the CIT program. That was last year, making this my first summer working at Nobles Day Camp. I am a Sophomore at Brookline High School. I usually say that my favorite thing about camp is the element of choice and/or freedom. As a camper, I always enjoyed having the ability to choose what I wanted to do in a specific block of the day. Having reconsidered what I like about the camp, I’d say that the community is what truly brings me back summer after summer. Every counselor and camper seems to be interwoven into a family that never fades. I have never stopped feeling welcomed and accepted at camp. I have been working at Nobles Day Camp since 1990! During the year I am a kindergarten aide in Dedham. My favorite thing about camp is seeing the skills children develop over the summer and over many years. I also love the staff. I have been working at Nobles since 2008. During the year I am an eighth-grade science teacher in Walpole. My favorite thing about Nobles is the camaraderie between campers and staff. I have been working at Nobles Day Camp since 2005. During the school year, I am a high school math teacher at Boston Latin School. I am also the assistant girl’s soccer coach. My favorite part about camp is watching the campers progress in through the swimming lessons. Hi! My name is Maggie and I am one of the Pool Heads at Big Camp. I have been working at NDC since 2008 and have loved every minute of it! During the school year, I am a special education teacher in Westwood Public Schools. I attended St. Michael’s College and received my undergraduate degree in Elementary Education and American Studies. After working in Newton as an instructional assistant for a few years, I went to school to get my masters degree in Special Education (moderate disabilities preK-8) from Lesley University. My favorite thing about NDC is Fun Fridays at the Pools! Have a great summer! I am very excited to be joining the Nobles Day Camp family this summer! I have many years of experience working as a lifeguard, WSI, swim coach and waterfront director in both day camp and swim club environments. 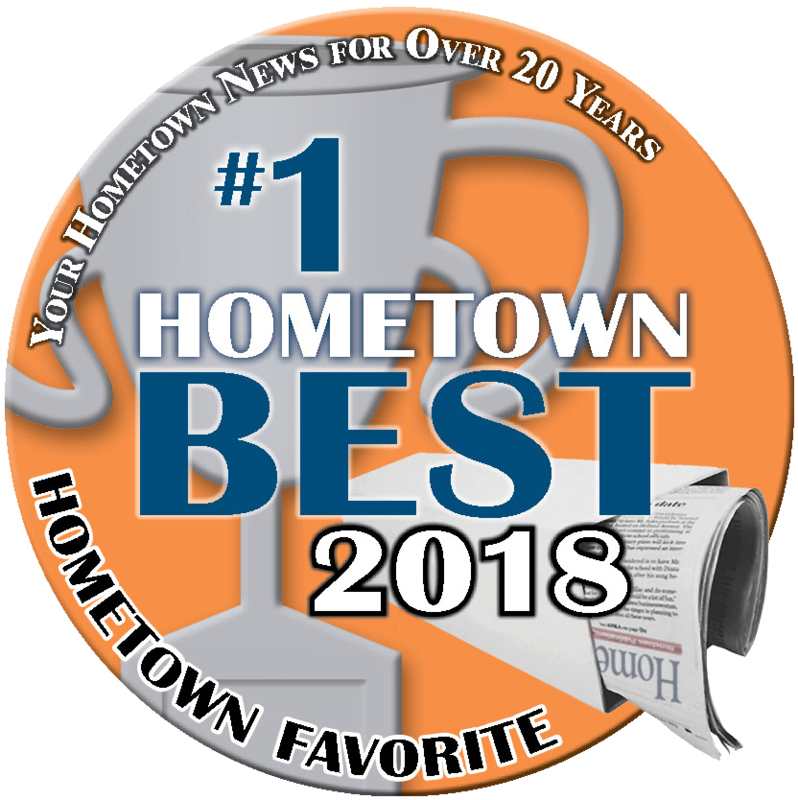 Over the last 12 years, I have been working as a classroom teacher in 2nd Grade and Kindergarten at Williams Elementary School in the Newton Public School district. I worked the previous two decades in finance and then as a chef. I have attained two masters degrees, an MBA and a masters in public administration, long with my degree in culinary arts and my licensure in education. I am married to my wife Amy and we have two beautiful kids, my daughter Megan, who is finishing 3rd Grade and my son Shane, who is finishing 1st Grade. They will both be joining me at Nobles and we are all looking forward to a great summer. Aside from getting to spend quality time with Megan and Shane, my favorite thing about camp is having the opportunity to work with and teach kids. I find it extremely rewarding to see them learn a new skill and gain confidence in their abilities. See you at the pool! Hi, my name is Dana MacPherson, and I have been at Nobles Day Camp since the Juniors. I have been working here since 2015 as a lifeguard. 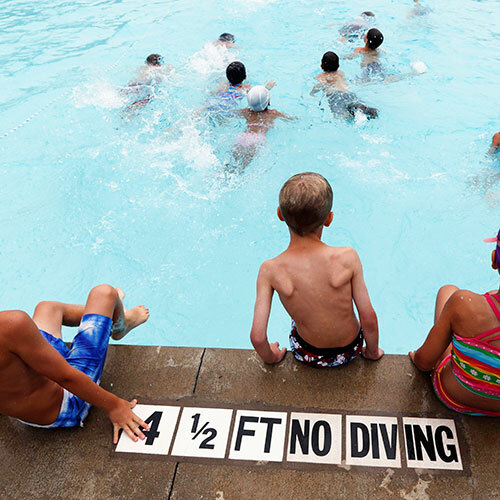 My favorite part of camp is seeing the kids having fun learning at the pool every day! 2016 is my first year working at Nobles. During the year I am a student at Bridgewater State studying elementary education. My favorite part of camp is swimming! I started working at Nobles in the summer of 2015 and now this summer is going to be my third summer. During the year I attend nursing school at Saint Anselm College, class of 2019. My favorite thing about camp is working with all the campers and seeing them having a great time! 2016 is my first summer at Nobles Day Camp. I am a senior at St. Sebastian’s school in Needham. My favorite thing about camp is the great staff and getting to know all the campers. My names Mackenzie Briggs and I am going to be a senior in high school. During the school year, I am on 2 swim teams and a softball team. I also teach swimming lessons and lifeguard at my town’s pool. I was a camper at Nobles Day Camp for 13 years. 2015 was my first summer as a lifeguard at Nobles, and I had a great experience. I am looking forward to a fun summer at the pools! 2017 is my first year at Nobles Day Camp and already I can see why this camp is so loved. During the school year, I am a full-time student studying Early Childhood Education and history at Bridgewater State University. I also am a student athlete during the year competing for my universities swim team. I started as a camper at Nobles in 2008 when I was in the 1’s, and 2017 is my first year working at Nobles. During the year I attend Xaverian Brothers High School and will be a junior next fall. I am looking forward to a great summer at the pools. 2017 is my first year working at Nobles Day Camp. I am a graduate of Newton North High School and am now studying at Syracuse University. My favorite thing about camp is campers seeing their end results after a week of swim lessons! 2017 is my first year working at Nobles Day Camp, but I came here for a couple years as a kid. Two summers ago I was a counselor at a camp in the Cape, then last summer I was a lifeguard in the Cape. During the year I like to be active and hang out with friends. I am graduating high school this year and going to college next year. My favorite thing about camp is meeting new people and staying active all day! I will start working at Nobles Day Camp the summer of 2018, and although I have not worked at a camp before, I was a counselor for a half-day camp at a country club. I am currently a freshman at Santa Clara University in California, and my favorite thing about being a counselor at the country club I worked at was the relationship I had with the kids. Hello, my name is Caroline Toomey and this is first year working at Nobles Day Camp. I have been working with children my whole life through babysitting and am excited to do it again this year as a lifeguard. I am currently a student at Trinity College in Hartford, CT and am most excited about teaching swim lessons! This is my first year as a counselor at nobles but I attended camp from the ages of 3-14! I am a current student at Providence College, but I am from Needham, Mass. My favorite thing about camp is the various activities and how campers get to decide what they want to do! Nobles Day Camp is one of my fondest childhood memories. I started working at NDC in 2005, hoping my own children would create some of their favorite memories at this special camp. During the summer I teach tennis at camp, and during the school year, I am a fourth-grade teacher in Needham. My favorite activity at camp, after tennis, of course, is Gaga Dodgeball. At the end of the day, I love loading campers into their cars and watching the excitement on their rosy-cheeked faces as they share their special day with their parents! 2017 is my first year working at the Nobles Day Camp. I went to the Owls Nest Camp for a couple years and I believe I went to the Nobles Day Camp for one or two years when I was younger. I have attended Nobles for 6 years and just graduated this June. However, I have been around the school since I was born because of my family. My favorite thing about Camp is being able to work and have fun with the kids every day and see their smiling faces. My first experience at Nobles Day Camp was being a member of 3C in 2010, and I have been here every summer since. This year is my first year as a tennis counselor, and it has been every bit as fun as when I was a camper. My favorite part of camp is teaching the campers how to hit a tennis ball while spending time getting to know them and how funny they are. During the year, I am a high school student at St. Sebastian’s in Needham. I have worked at Nobles Day Camp since 2014. Prior to working at Nobles, I worked as a counselor at camps in Vermont and the Czech Republic. During the school year, I teach English at MassBay Community College. One of my favorite things about Nobles is working with the kids in theater. I love watching the kids explore their imaginations and collaborate to make unique, one-of-a-kind skits. Their creativity is amazing! My other favorite thing about Nobles is the staff–what a dedicated, great group of people. 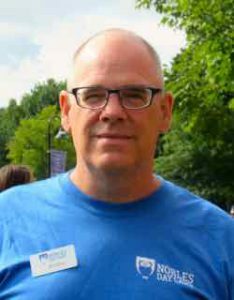 Since starting at Nobles in the summer of 1989, I have worked as a head group counselor, swing counselor, and head of Video, Drama, and Special Events. Over the years I have had tons of fun and made a great many friends at Nobles. I am a third-grade teacher In Framingham, where I run my own after-school theater program. I have also written a book of children;s poems and a history of my hometown of Dedham. This is my first summer working at Nobles! I was a camper and counselor at Dedham Community House. This May I will be graduating from Assumption College after studying Global Studies and Political Science. After this summer, I will be serving as a City Year Americorps member in Boston. My favorite thing about camp is having fun with everyone! 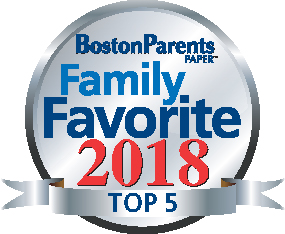 Hi, I have been working at Nobles Day Camp since 2000, and I have always done woodworking.Now I work with the 1, 2 and 3s, and I love this age group.They are so excited to do a project and show their parents. When I’m not at Nobles, I work in a Walpole school kitchen, and I also do school crossings in Walpole and Westwood. This is my first year being a Counselor. I was a CIT last year and am very excited to be working at Nobles this year. I have been a camper at Nobles since I was in the 3’s. I attend Walpole High School during the school year and always look forward to the summers at Nobles. I love the huge variety of activities that are offered at camp. There is always something new and fun to try. 2017 is my first summer working at Nobles Day Camp. I was a camper at NDC as a child. I am currently working on obtaining a Master’s degree in middle school science. When this summer is over, I will be teaching science at King Philip Middle school in Norfolk, MA. My favorite activities at NDC are Boats, Nature, and Woodworking. I have been a Special Education Teacher since 1991. I have been at Needham High School, working with all grade levels, since 2000. I have been working at Nobles Day Camp steadily since 2012, but I also worked here four additional years preceding that. I love being able to drive to camp with my daughters, and I love all the activities that Nobles has to offer. As I have gotten more mature (older), I have come to appreciate the non-traditional activities such as Outdoor Life, Rocks & Ropes, and Boating, as they teach the children teamwork and cooperative learning. I am looking forward to seeing all the great staff members we have at Nobles, and I am looking forward to working with children of a different age group.